This past week on our Discord Monday chat we discussed if 2019 is truly the year for DAOs to become fully developed and utilized. Excellent use cases are provided in this post from Token Economy, however there are also many technical hurdles that need to be overcome before DAOs are ubiquitously adopted throughout the crypto space. One project that was discussed and may indeed succeed early on is the Moloch DAO, a grant-making DAO / Guild and radical experiment in voluntary incentive alignment to overcome the “tragedy of the commons”. 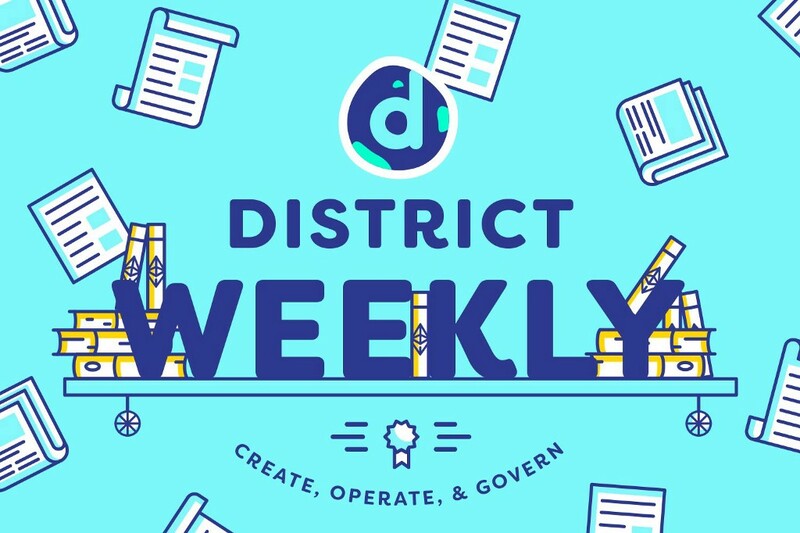 Others are of course Aragon, which district0x intends to implement as a cornerstone of the district0x network’s governance capabilities. 2019 is certainly a critical year for the crypto space, and we couldn’t be more excited to continue charging full steam ahead. If you would like to get involved in our weekly Monday Discord discussions, hop on over to our Discord channel on Mondays at around 9am PT. On Tuesday this past week, we released our bi-weekly Dev Update. For a quick synopsis: beta testing for Meme Factory is underway, along with continuous bug squashing for the recently deployed DANK faucet; contract size limitations have caused us to split up contracts for the District Registry and as we wrap this up we grow imminently closer to security audit time; and lastly we are actively building GraphQL resolvers (a query language for APIs) for the Ethlance network. That’s about it this week, if you’re at Aracon keep an eye out for P.J. and have a wonderful week ahead!